The Merck Manual website1 estimates that there are approximately 3.3 million seniors living alone. If you are one of those seniors, correctly taking medications, both prescribed and over-the-counter, can be challenging, so we’ve provided some tips to help you. Learn all you can about your medications – You should know exactly why each item has been prescribed or recommended to you and you should know how each should be taken. Your doctor and pharmacist can help in scheduling your medicines: some may need to be taken with food, some an hour before or after eating, some at bedtime. They will help in determining the best regimen for you. Keep a list of all the medications you take – You should keep a copy of this list with you at all times in your wallet or handbag, as well as having a copy available in your home medicine cabinet and in the glove compartment of your vehicle in case of an emergency. Emergency responders recommend medical I.D. bracelets for many conditions such as allergies or diabetes. Communicate with your pharmacist – Check your medications with the pharmacist at the time of purchase. Discuss with them any differences in the appearance of your medicine, and find out if the dosage instructions have changed. Know the side effects of each medication – Being familiar with the side effects of your medications will help you be aware of any changes in the way your body feels or reacts. Seek help immediately if you feel you are experiencing any side effects. Store medications properly – Some medications should be stored in dark cabinets, others in the refrigerator. Failure to properly store medications can render them useless. Stay organized – Pill organizers come in a variety of shapes and sizes, so choose one that best suits your needs. Use a calendar for medications taken on a weekly or monthly basis. Take medications as directed – If you feel you need more or less of a medication, first speak with your doctor. 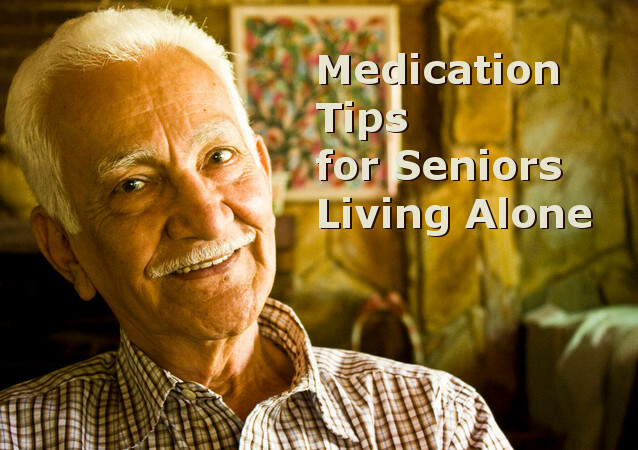 If you feel overwhelmed by managing your own medication, it may be time to consider an assisted living center. Download our brochure “Is It Time” at http://www.cityofperkins.net/isittimeforassistedliving.